Every year, our school PTA hosts a spring Ice Cream Social and Auction to benefit the PTA. Teachers scoop the vanilla and add the toppings while the families in our school community enjoy some socializing followed by an opportunity to bid on many exciting gift baskets, amusement park outings, sporting equipment, special seats at school functions, principal for a day, outings with the teacher and many other great items. 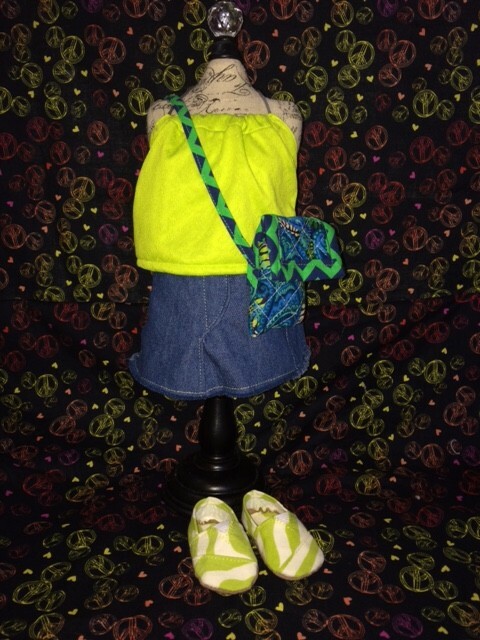 I need to thank Mother Nature for the eight full snow days which provided me plenty fo time to design and sew the outfits…as well as Liberty Jane patterns for the patterns to sew the project. I am not paid to promote the company, however if you give them your email address you will receive one free pattern every Friday. I am not one for following patterns, but I made it work. Anyway…the gavel has spoken…The auction was held last Friday evening. I was hoping the clothing line would fetch $50…instead it went for $250…woo hoo I am seeing a fancy field trip for my students in the future. Each year our school holds a Memorial Day Assembly. It is a wonderful event and makes me proud to be an American. 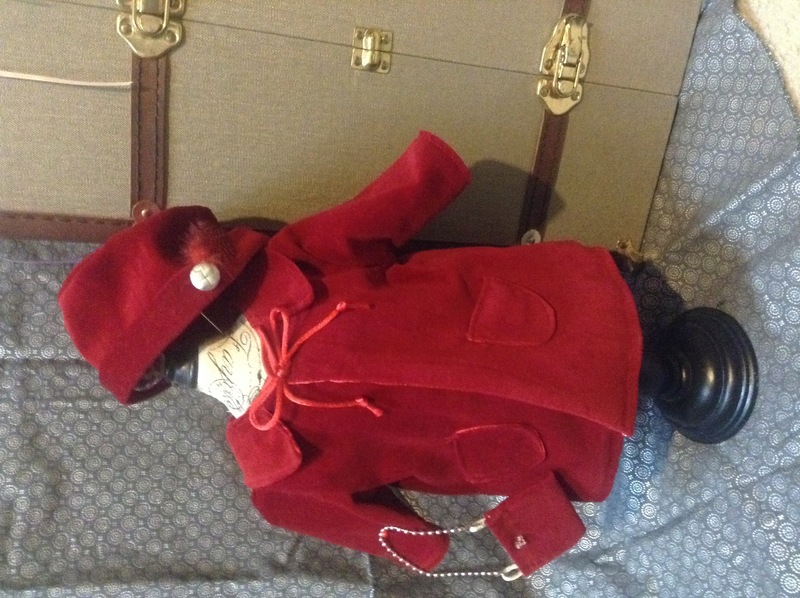 I am certain that most girls have no idea that the coat has an Edwardian flair. I think you may have seen this before. 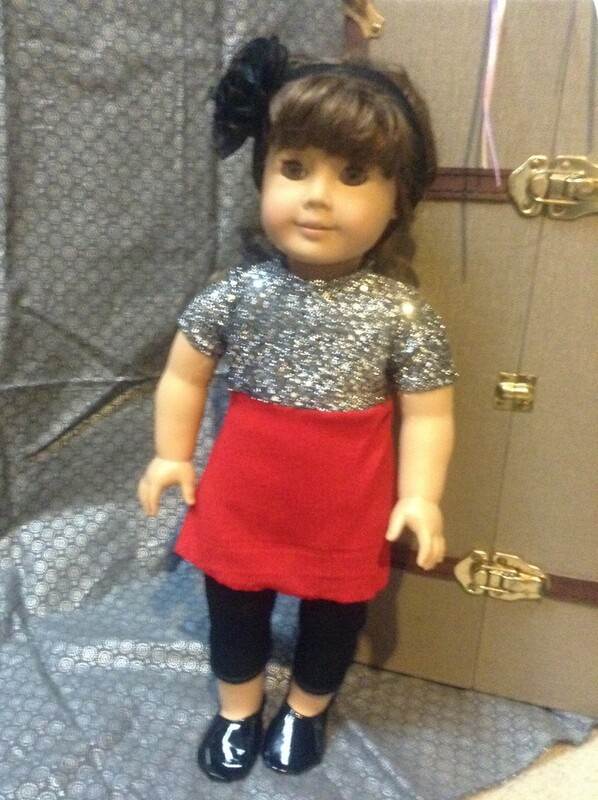 Believe it or not, some students wear sequins on a daily basis, so this outfit will be a big winner. Ugh…this was the only photo I had of this outfit. Casual Tuesday or any other weekday. A denim skirt, a VB inspired bag and Tom-like shoes. Yes…the sequin boots are another frequent sight during a regular school day. So you didn’t get your Lilly at Target….well here it is. I might wear the fluffy slippers. My students knew who this was as soon as I pulled the item out of the box….tennis bracelet and all. I try to be upbeat at all times, but over the last several days it has been difficult so I need to address one more thing as many of my out of town friends, readers and family know where I live and have expessed concern. First of all, we are safe. We live just north of the violence that has plagued the city over the last several days. I cried for many reasons more than just being frightened by what was happening. I know our world still has many problems to address. Sadly, some have chosen violence to express outrage. #1 Son-ster lives in the city and just south of the violence, he has been very cautious and has been in touch several times daily. I pray for peace and answers… if you have a moment please pray for all also. 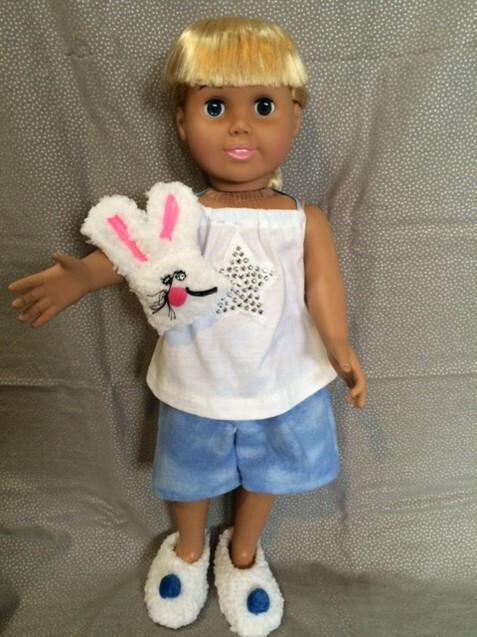 This entry was posted in Family, Sewing, Uncategorized and tagged American Girl Doll. Liberty Jane, Project Snow Day. Beemie… I have been thinking of you after watching all the news coverage. It’s a sad situation. 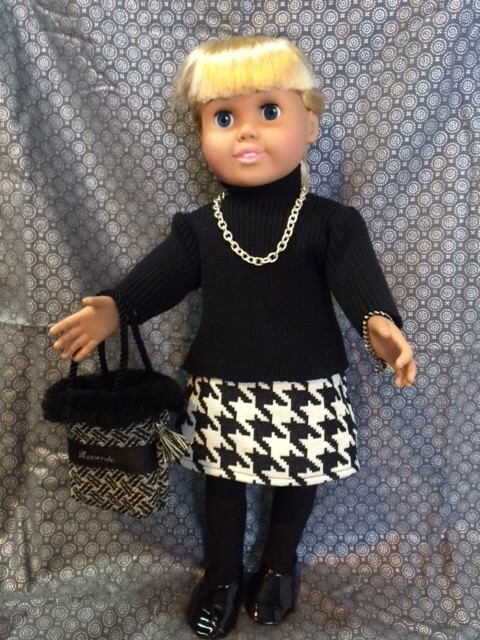 The doll clothes are darling. That Lilly dress is to die for!! I was born and raised in Baltimore and am saddened to see what is going on in your beautiful city. Praying for you and all who have been touched by the senseless violence going on there. 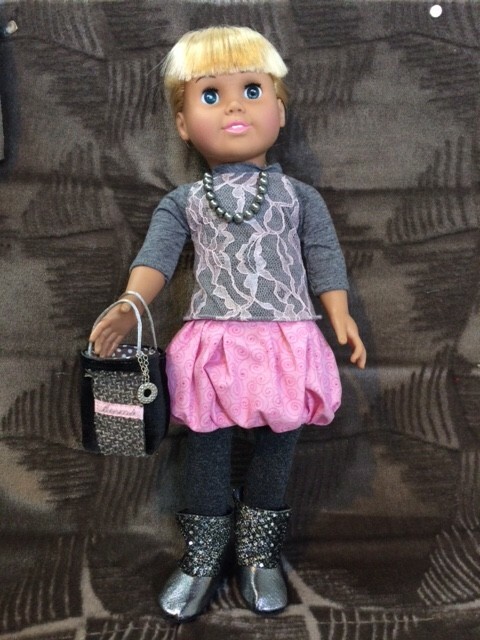 Love the doll clothes. You are “sew” talented! Yes, indeed so sad…I think those who participated do not fully understand the long term effects on the city. Thanks for the compliment, I am “sew” touched. Beemie, had no idea you are that close. I understand frustration but can’t fathom how this helps any cause. 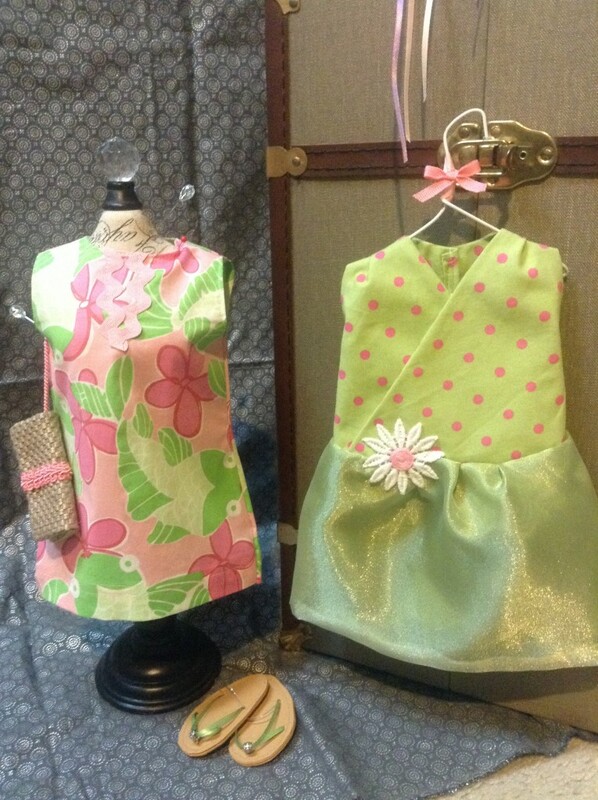 As talented as you are with words, you are more so with the sewing machine! Amazing! I cannot understand it either…some of the damage will be difficult to undo. Thanks for the compliment…it was a fun project. 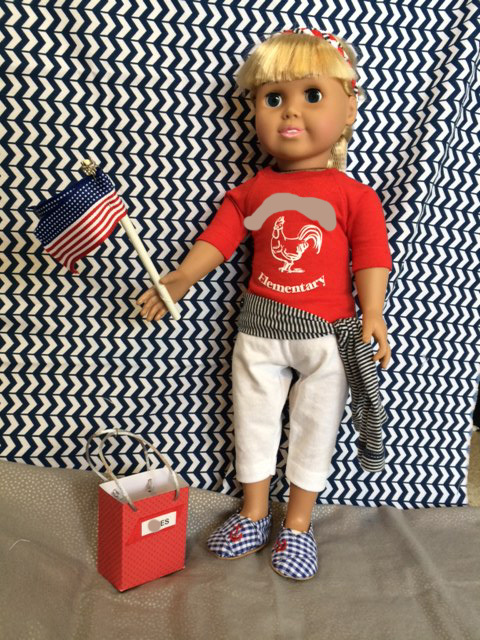 I knew you would love the Patriot and Defender outfit…and thought perhaps you would recognize the dress like the teacher. So glad you were able to pop in and say hi…we are all coping as well as can be expected. Funny, when I picture you, it’s in that outfit! It is a classic, timeless and perhaps preppy look….have a great weekend. I am continually nauseated by what’s happening up there and in other places in our world right now. All those people are seeming to care about is that the cops go to jail….not justice. Not saying I think the cops are right all the time….but man that’s gotta be a tough job. I think every one of those looters should be a cop for a week and see how they would handle any situation. Off the soapbox…..PLEASE BE CAREFUL. DON’T GO THERE!!! 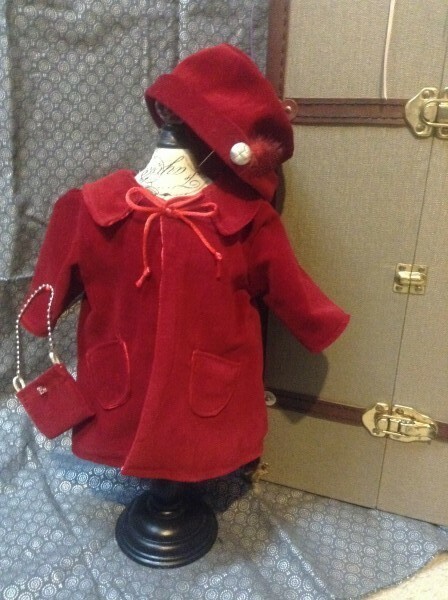 and omg……..the doll clothes!!! How adorable….You should start your own business. May I be your first customer???? The whole mess here is indeed sad for all parties concerned…Hubster and I have not been downtown in a few weeks…Son-ster #1 who lives in the city has not had a 10 pm curfew since high school, but it was lifted yesterday. I am hoping the outcome of all of this is positive although those injured whether physically, financially or emotionally may struggle to recover. 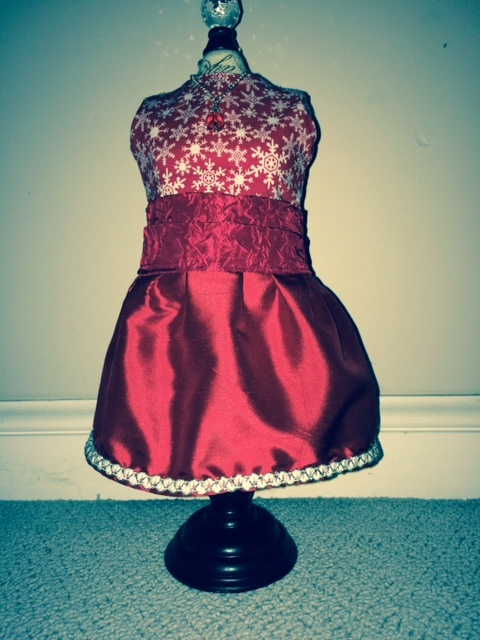 Now onto the doll clothes…trust me when I tell you I would love to sew more than heading out of my house 190 days per year…unfortunately there are no health benefits (unless you count mental health) in sewing. So off to school I go.